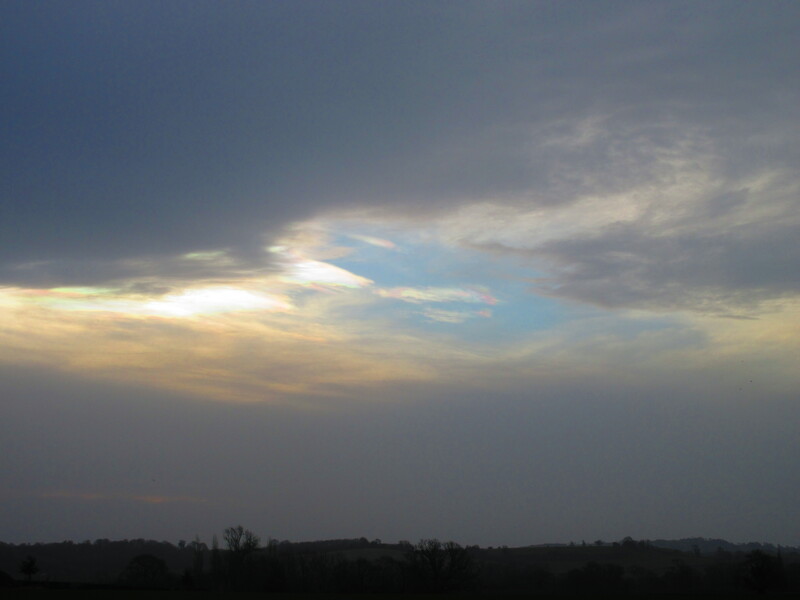 The sky was opalescent yesterday morning as I took the dogs out for their daily ramble. The clouds were grey and wind-blown, but a small aperture had been rubbed away by the elements to reveal a patch of blue with some pink-tinged wisps of cumulus. Even the most dull walk can be enlivened by the smallest sight or the greatest view. Even in the depths of winter there’s always something to brighten your day such as a patch of blue sky, a flock of fieldfares taking flight or a sparrowhawk hunting along the hedgerows. But it does not feel like the depths of winter. Since the frost of a few weeks ago it has remained steadfastly mild – warm even – and the garden continues to grow as if summer had not ended. It is mid-December and we have alstroemerias blooming as well as other blossom in the borders. The penstemons still bloom and the grass has simply kept on growing. But combined with the amount of rain we have had, cutting it has been nigh on impossible. Yesterday, though, as it did not rain in the night, I took a punt and jumped on the mower and had a go. The mower was not happy, and I could only imagine the stirrings from next door as the Old Man would be turning down his TV to listen to the grinding of the blades against the damp grass. Even now I still do stuff around the house and garden with a vestigial sense of doom wondering if I am doing it correctly in the eyes of my parents. I guess most of us do this to some extent but when the eyes and ears of one parent are only the other side of the kitchen window the lingering nature of the affliction devolves to a more clear and present danger. On the up side, though, The Old Man is not walking too far these days, so even if my concerns about his thoughts on mowing in such conditions are real (and not imaginary) then at least he’s not likely to run out in to the garden to voice his disapproval. So I clattered on with the mower thinking that I could get away with whatever lack of foresight or good workmanship I might be displaying. And yet, when I saw TOM this morning he announced that it was an all-time record to be mowing in December. 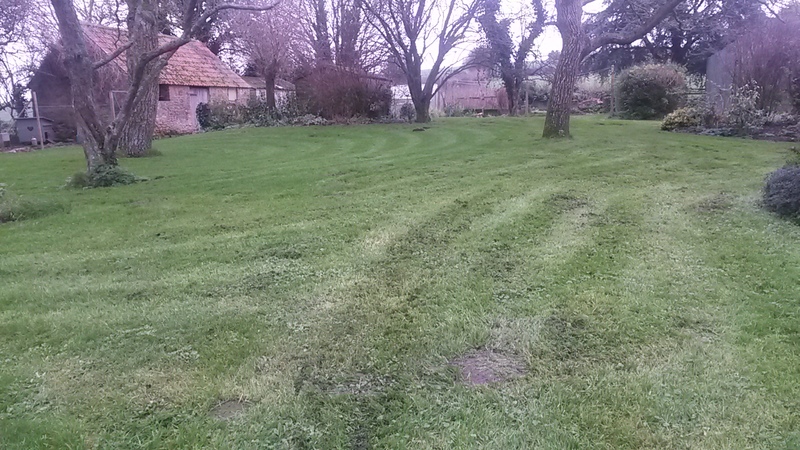 “But it did need it” he affirmed – thus giving approval to my bleak mid-winter mow. This entry was posted in Gardening Times and tagged astroemerias, chillis, cornflowers, fieldfare, hellibores, mole hill, mowing, penstemon, phacelia, sparrowhawk. Bookmark the permalink.